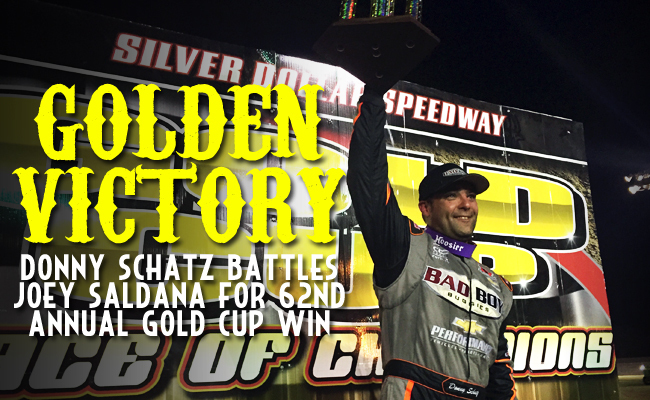 Gold Cup a Tale of Two Parts as Schatz Picks up His 29th Win of the Season :Racers Guide – The Web's #1 Racers' Online Directory! 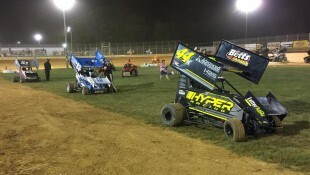 CHICO, Calif. – Sept. 12, 2015 – The finale of the 62nd Annual Gold Cup Race of Champions on Saturdaynight at Silver Dollar Speedway was a tale of two parts – one belonged to Joey Saldana and the other to Donny Schatz. 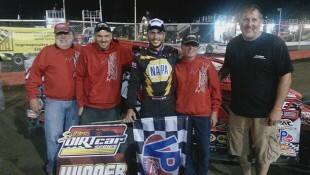 It was Schatz’s part that counted most though as he led the field across the finish. 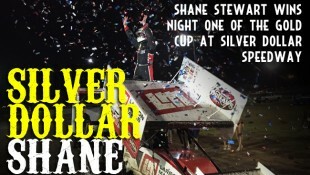 Saldana, who came into the night after a second place run in Friday night’s feature at Silver Dollar, led the field to the green flag and held off challenges early. 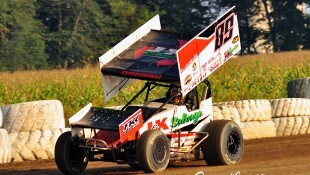 As Schatz quickly battled from sixth to second in just the first five laps, Saldana maintained his lead. A caution flag waved for the first time on lap 10. 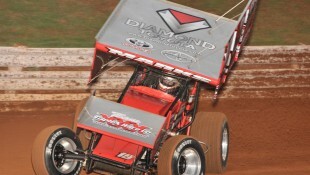 When the race restarted he and Schatz engaged in a tight battle for the lead that lasted four laps – Saldana maintained. 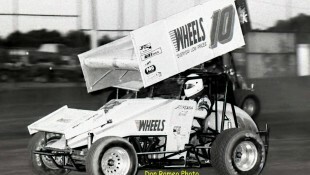 He quickly caught traffic and that bunched up the top three drivers who, at that point, were Saldana, Schatz and Madsen. 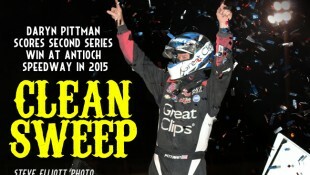 As Schatz looked poised to take the lead, another caution flew. With open track ahead of him, Saldana quickly built up a lead over Schatz on the restart and soon caught traffic. 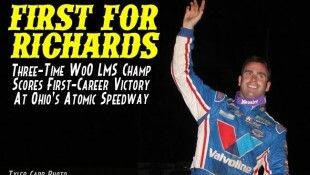 By lap 20, Saldana had his hands full as he worked every line on the track to keep Schatz contained behind him. 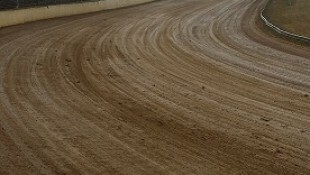 The two were even side-by-side, wheel-to-wheel for two straight laps as they came off of turn two, but Saldana held the lead. 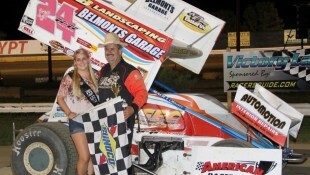 When Saldana again caught traffic, Schatz found his opportunity. As the two worked to complete lap 29, the No. 15 Bad Boy Buggies/Chevrolet Performance car got around the 71M as they exited turn four. 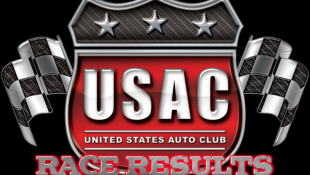 For his portion of the race, Schatz, a five-time winner at Silver Dollar, pulled away from the rest of the field and built a healthy lead. 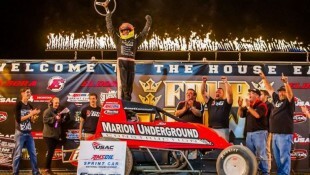 As the battles continued behind him, he cruised across the finishline to score his first Gold Cup win in 11 years. 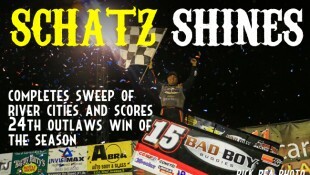 The win was 29th World of Outlaws Sprint Car Series victory of the season for Schatz. 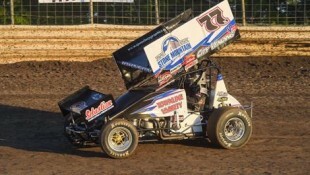 The six-time and reigning series champion has a 428 point lead over second place Shane Stewart in the championship standings. 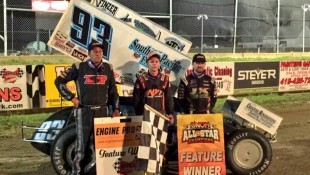 Saldana, who continues to make up ground on Kerry Madsen for the third place position in the championship standings, credited Schatz and complimented his Motter Motorsports team on another good run. 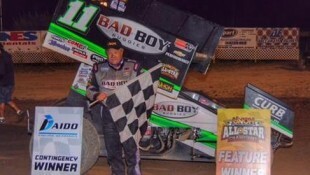 If Saldana had his hands full for the first 29 laps of the feature, Kerry Madsen had his full for the full 40 as he worked hold off Brad Sweet and Stewart for his podium perch. 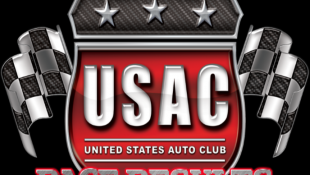 After starting in third, he briefly slipped back to fourth as Schatz moved forward and Sweet slipped back. 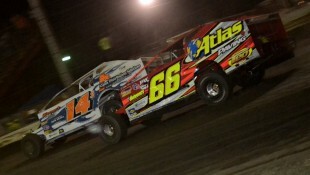 He retook the spot on lap 11 and briefly made a run at second on lap 16. 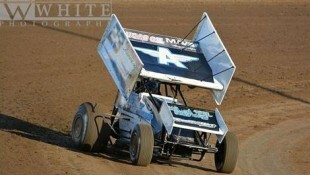 It was Stewart though who gave Madsen his biggest challenge of the night. 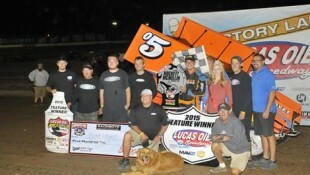 As the two worked through the final 10 laps, Stewart was all over Madsen. 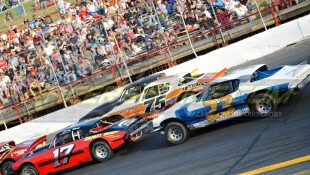 On the last lap the two drivers were side-by-side off of turn two, with the edge to Madsen in three and four. 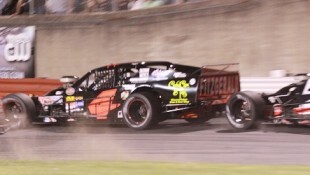 With a slider, big contact was made between the two as they exited turn four, but Madsen maintained his position and the third place finish. 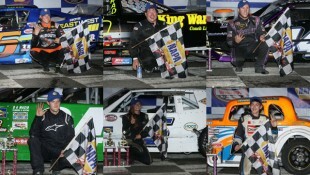 Emotions ran high as the cars filed into the pits following the feature. 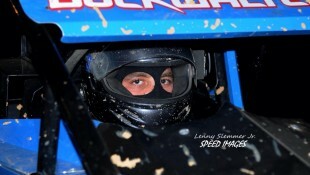 Stewart drove up next to Madsen and expressed his frustration with the end of the race. 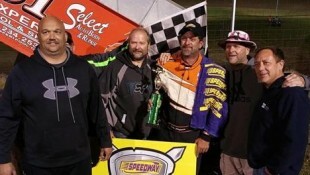 “I was around the bottom there and I didn’t think I had time to get to the top and go past Joey so I decided to hold my line,” Madsen said. 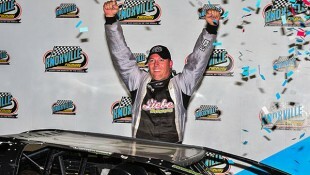 “(Stewart) got beside me going down the backstretch and made a normal slide job and he was mad, but that’s just racing. 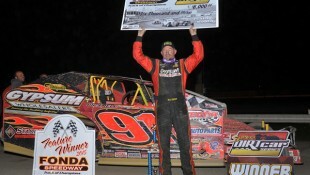 Glad to get a podium with the American Racing Custom Wheels car. 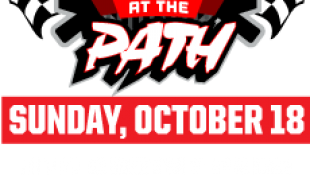 The World of Outlaws Sprint Car Series wraps up its west coast swing Sunday night at Antioch (Calif.) Speedway. 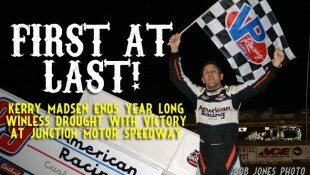 To find out more information and to learn how to buy tickets, visit http://woosprint.com/antioch-speedway. 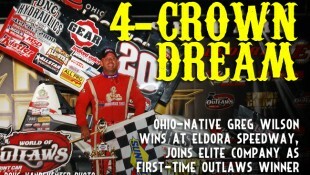 Follow the World of Outlaws Sprint Car Series on Twitter at www.twitter.com/WorldofOutlaws, like it on Facebook atwww.facebook.com/WorldofOutlaws, or check out the latest videos on YouTube atwww.youtube.com/WorldofOutlaws. 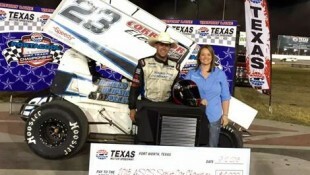 RACE NOTES: Donny Schatz’s win at tonight’s Gold Cup was the 29th World of Outlaws Sprint Car Series victory of the season for him… The win was Schatz’s fifth at Silver Dollar Speedway and second Gold win. 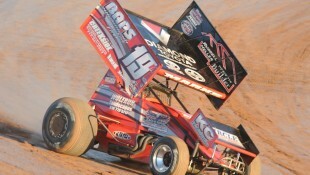 He picked up his first Gold Cup win 11 years ago on Sept. 11, 2004… Kyle Hirst was the KSE Racing Hard Charger, advancing 10 positions to finish 13th… Kerry Madsen took home the quick time tonight with a lap of 11.190 seconds. 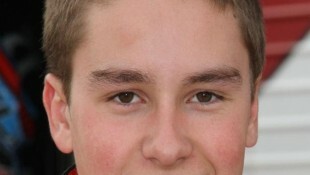 It was his 10th quick time of the season. 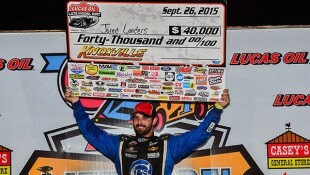 CONTINGENCY WINNERS – MSD Ignitions ($25 cash): Jason Sides; MSD Ignitions ($50 cash): Donny Schatz; Sweet Manufacturing ($50 cash): Joey Saldana; Penske Shocks ($50 cash): David Gravel;Mobil 1 ($50 cash): Shane Stewart; JE Pistons ($50 cash): Brad Sweet; Lincoln Welders ($50 cash): Logan Schuchart; VP Racing Fuels ($50 cash): Bud Kaeding; Edelbrock ($50 cash): Paul McMahan;Comp Cams ($50 cash): Paul McMahan; Cometic Gasket($50 cash): Sean Becker;Super Flow ($50 cash): David Gravel; Sweet Manufacturing ($50 product certificate): Shane Stewart;KSE Racing Products ($100 product certificate): Kyle Hirst; Comp Cams ($50 product certificate): Donny Schatz;Mobil 1 (20% off Mobil1RacingStore.com): D.J. Netto; JE Pistons (Set of Rings): Jason Statler; JE Pistons (Set of Rings): Jason Sides. 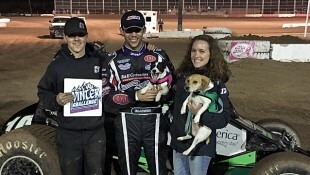 SEASON WINNERS: Donny Schatz – 29 (Volusia Speedway Park on Feb. 14, Stockton Dirt Track onMarch 21, Silver Dollar Speedway on March 28, Placerville Speedway on April 8, Calistoga Speedway onApril 12, Devil’s Bowl Speedway on April 26, Eldora Speedway on May 8, Eldora Speedway on May 9, Williams Grove Speedway on May 15, Weedsport Speedway on May 17, The Dirt Track at Charlotte onMay 22, Knoxville Raceway on June 13, Huset’s Speedway on June 14, Granite City Speedway on June 17, River Cities Speedway on June 19, Dakota State Fair Speedway on June 20, Beaver Dam Raceway on June 27, Lakeside Speedway on July 1, Dodge City Raceway Park on July 4, Cedar Lake Speedway on July 11, Lebanon Valley Speedway on July 26, Federated Auto Parts Raceway at I-55 on Aug. 8, Knoxville Raceway on Aug. 15, River Cities Speedway on Aug. 21, Nodak Speedway on Aug. 23, Castrol Raceway on Aug. 28, Grays Harbor Raceway on Sept. 7, Cottage Grove Speedway on Sept. 9, Silver Dollar Speedway on Sept. 12); Shane Stewart – 9 (The Dirt Track at Las Vegas Motor Speedway on March 5, Keller Auto Speedway on April 17, Salina Highbanks Speedway on May 1, Crawford County Speedway on June 12, Eldora Speedway on July 17, Eldora Speedway on July 18, Federated Auto Parts Raceway at I-55 on Aug. 8, Skagit Speedway on Sept. 5, Silver Dollar Speedway on Sept. 11); Daryn Pittman – 4 (Volusia Speedway Park on Feb. 13, Antioch Speedway on March 29, New Egypt Speedway on May 19, Castrol Raceway on Aug. 29); Brad Sweet – 3 (Volusia Speedway Park on Feb. 15, Calistoga Speedway on April 11, I-96 Speedway on June 25); Rico Abreu – 2 (Thunderbowl Raceway on March 14, Stockton Dirt Track on March 22); Dale Blaney – 2 (Attica Raceway Park on May 29, Lernerville Speedway on July 21);Paul McMahan – 2 (Perris Auto Speedway on April 18, Tri-State Speedway on May 3); Joey Saldana – 2 (Kokomo Speedway on June 3, Cedar Lake Speedway on July 12);Christopher Bell – 1 (Federated Auto Parts Raceway at I-55 on May 2); Brian Brown – 1 (USA Raceway on March 7);Cody Darrah – 1 (Lernerville Speedway on July 21); Danny Dietrich – 1 (Williams Grove Speedway on July 25);Stewart Friesen – 1(Ohsweken Speedway on July 28); Greg Hodnett – 1 (Lincoln Speedway on May 13);Tim Kaeding – 1(Thunderbowl Raceway on March 13); Danny Lasoski – 1(I-80 Speedway on June 5); Kerry Madsen – 1(Junction Motor Speedway on Aug. 18); Terry McCarl – 1 (The Dirt Track at Las Vegas Motor Speedway onMarch 5); Jason Sides – 1 (Dodge City Raceway Park on July 3); Stevie Smith – 1(Williams Grove Speedway on July 25).